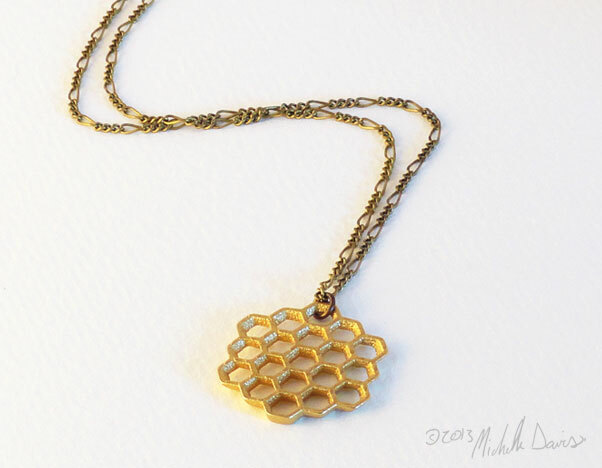 Honeycomb is both natural and geometric (and delicious) and translates wonderfully into jewelry. 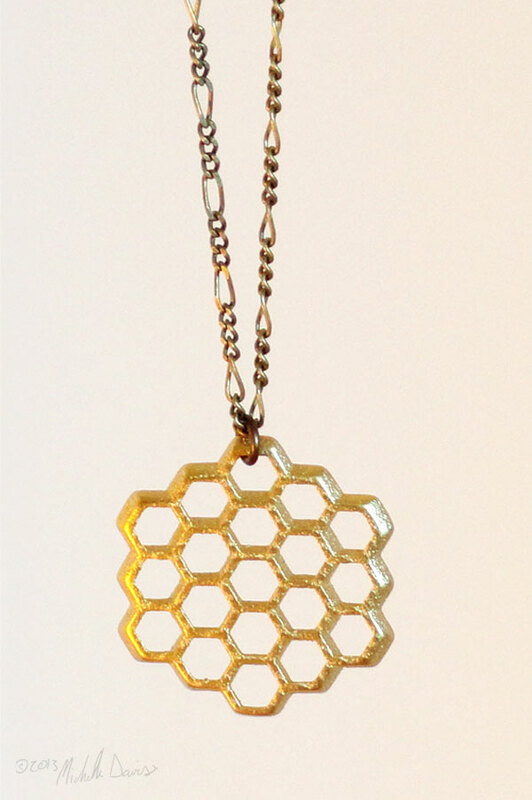 This honeycomb pendant is available in either sterling silver or an ‘antiqued’ and rich gold-plated stainless steel. 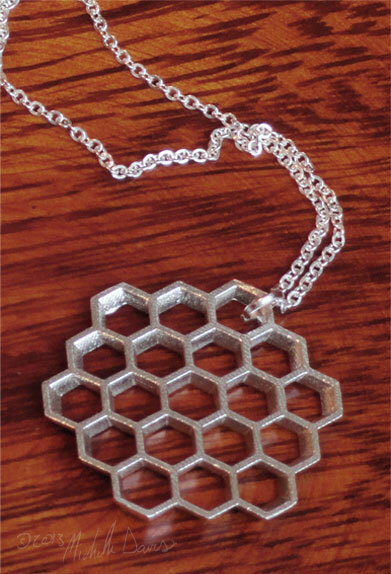 Both variations come strung on an 18″ chain – either sterling silver or antiqued brass. Awesome - let me have one!